Ready for another catch up! I've been sew busy, it seems round up posts are becoming habit. 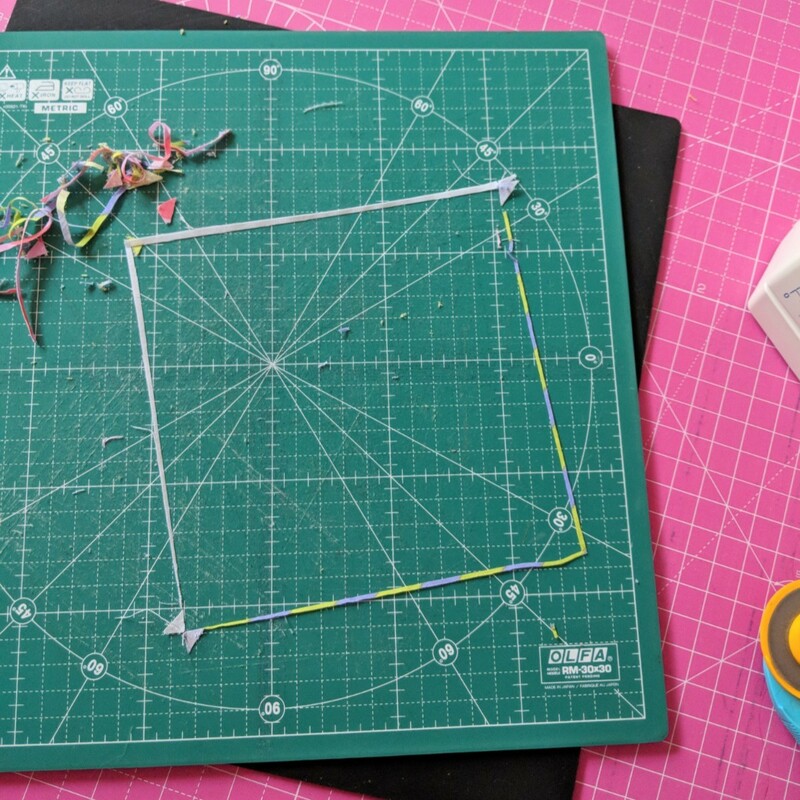 This space is where I record my makes, share progress and any tips I learn along the way... it's my makers diary if you will. And like a hand written diary it can be days between entries. It's enjoyable keeping up and documenting as much as I can and you get to find out a little more about the projects! 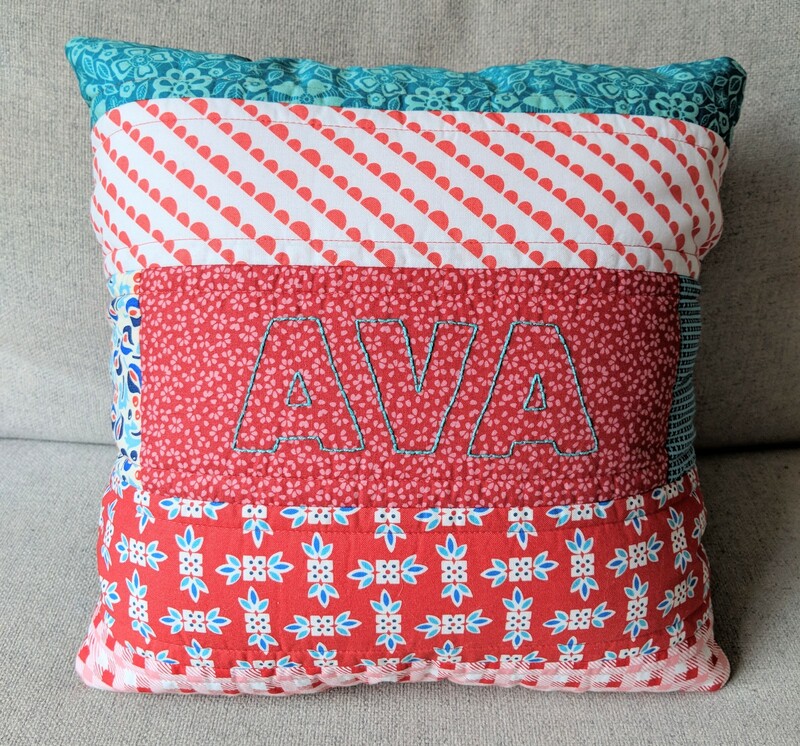 Most recently I finished a commission, I had made a personalised cushion for her elder brother so it was only right she have one too. 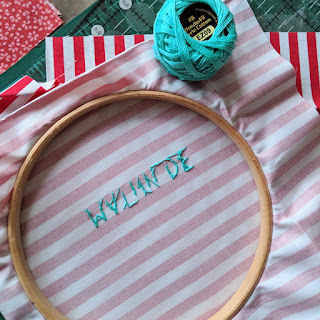 It was really nice to do a little embroidery, simple back stitch with #8 WonderFil perle thread. 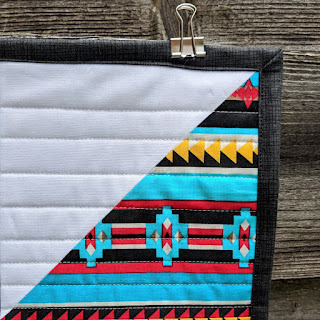 Perle is great for embroidery on quilted items because it's nice and strong so will hold up with washing and the chunky look of the thread works nicely on prints. 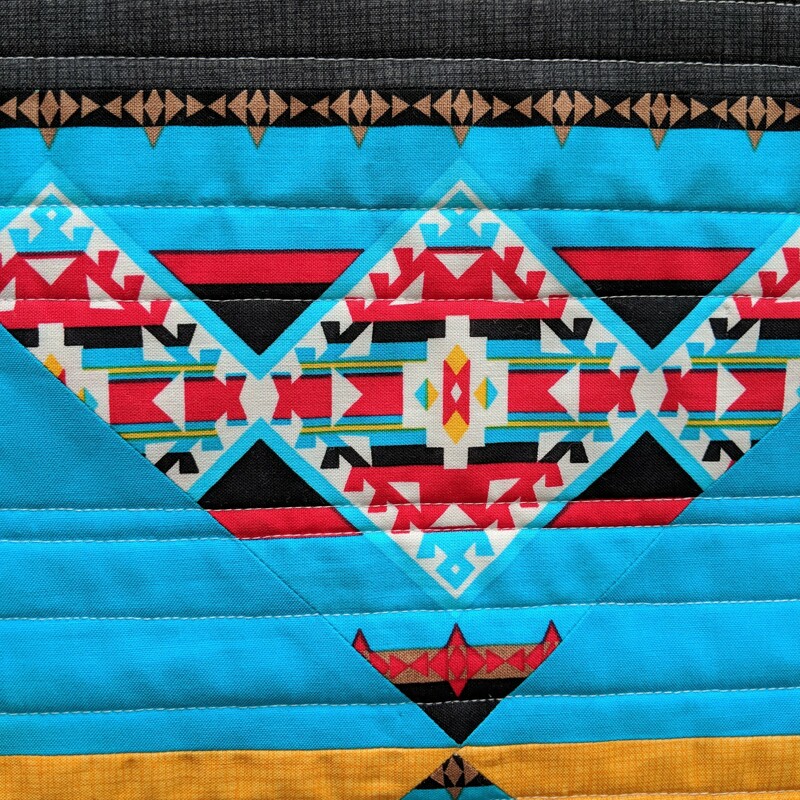 The requested red and aqua combination works so well and I had fun choosing the fabrics. 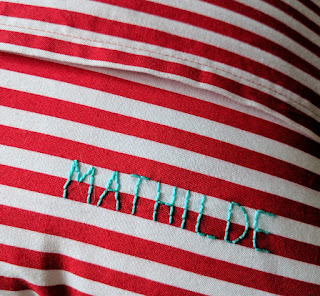 For the back I picked a seaside style red and white stripe, in nod to the one I made for her brother and embroidered it with her middle name. 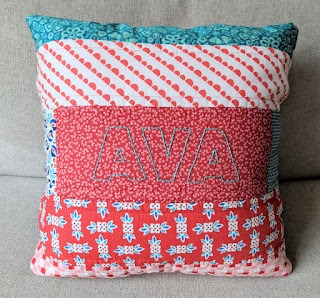 I'm pleased that the cushion has been happily received and hope they both use them for years to come! 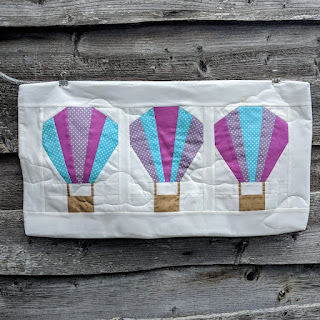 This next cushion was made for Sewing Quarter, using the Airborne quilt pattern by Sarah Ashford that featured in issue 56 of Love Patchwork & Quilting for the hot air balloons. 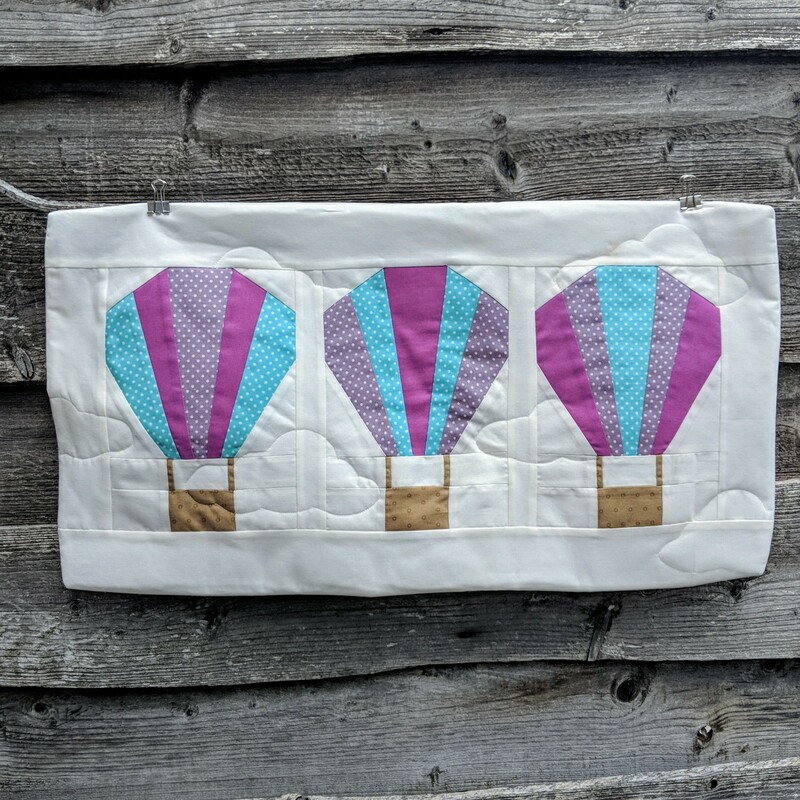 I quilted some fluffy clouds by simply drawing around a template I printed from a colouring page. The back of the cushion had a vertical envelope backing but I decided to add some poppers (snaps) to secure it. It's a nice way to make sure the back doesn't gape open and poppers are so easy to install. 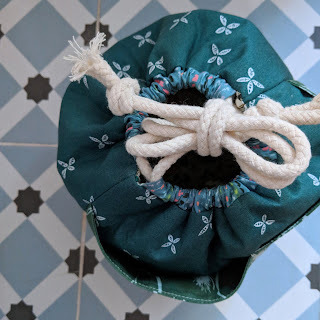 I made good use of my handy garnish awl from Sajou - usually I don't even need it, I just push the pointed part of the popper through the fabric, but as I had folded the edges of the fabric over, it required a hole to be made first. 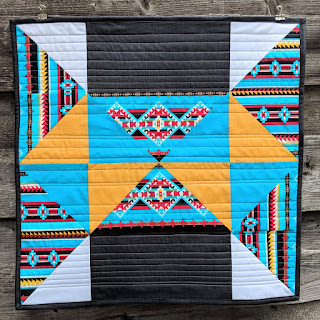 Another make for Sewing Quarter that featured in LP&Q as part of a series, is this mini quilt designed by Nicole Calver. I really like the colours and Southwestern style print in this one, it's quite different from Nicole's original but shows how versatile the patterns are. There were a few half square triangles and for some reason I really struggled sewing 1/4" either side of the line, I kept sewing on the line - very frustrating! Rather than unpick I just cut it, it usually takes just a little pull to get it apart and saves time. When I posted this picture on instagram it turns out I'm not the only one that's done this!! 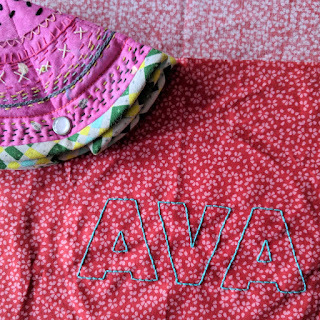 I quilted the mini with straight lines, randomly spaced following some of the lines on the print. 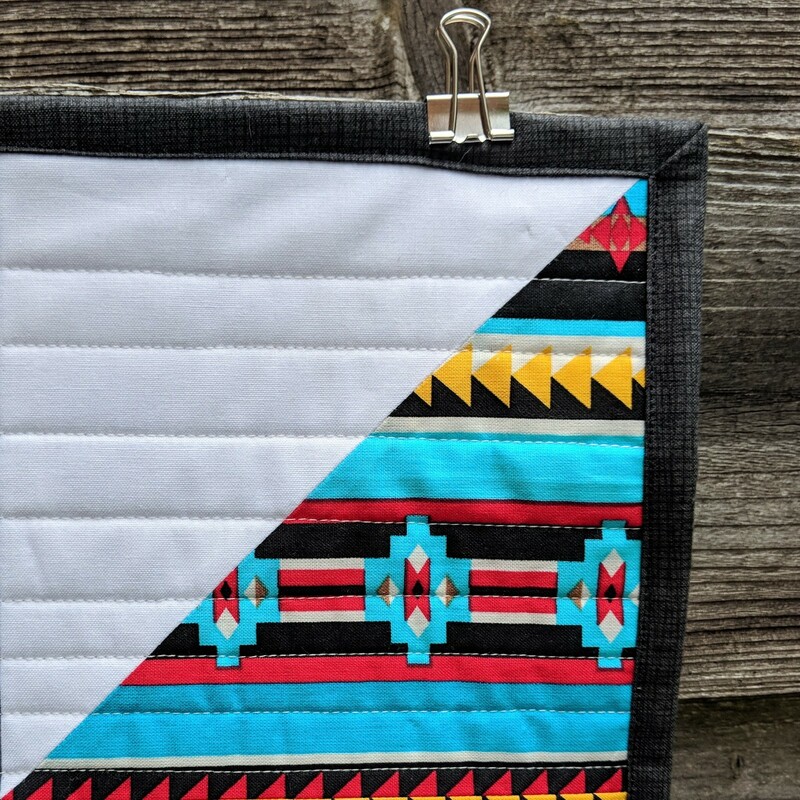 More quilting, although this is the only picture I managed to take of a file cover I made. You can see other versions here. Like with the cloud I made a heart template, drew around it and quilted. 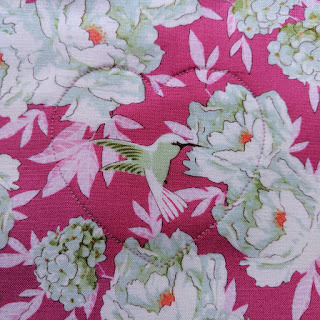 It looks sweet framing the hummingbird on the Tilda fabric. 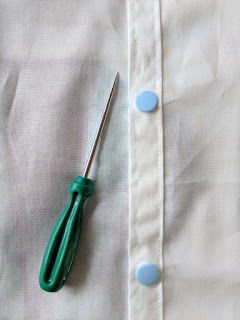 The next project has been on my to sew list for a while. 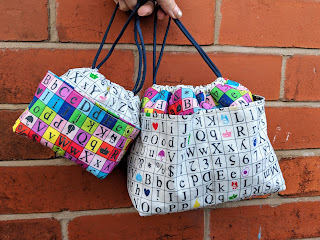 Laura had a sew along of her weebrawbag pattern, encouraging people to give them as gifts and that was the push I needed! 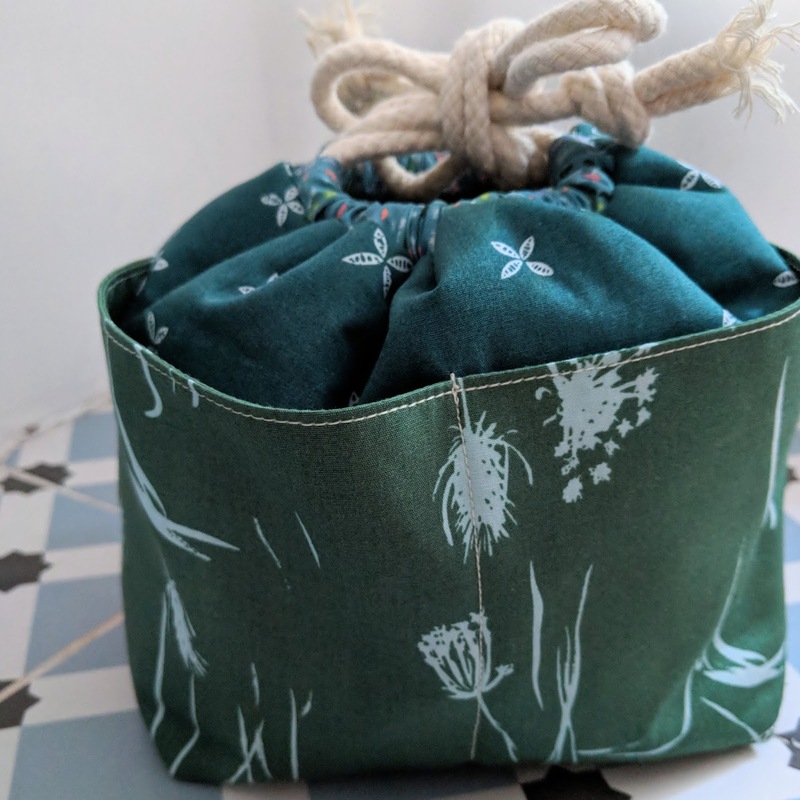 The first one I made is for my cousin, using prints from the gorgeous new Signature fabric collection by Sharon Holland - it will be in stores soon, check here for stockists. 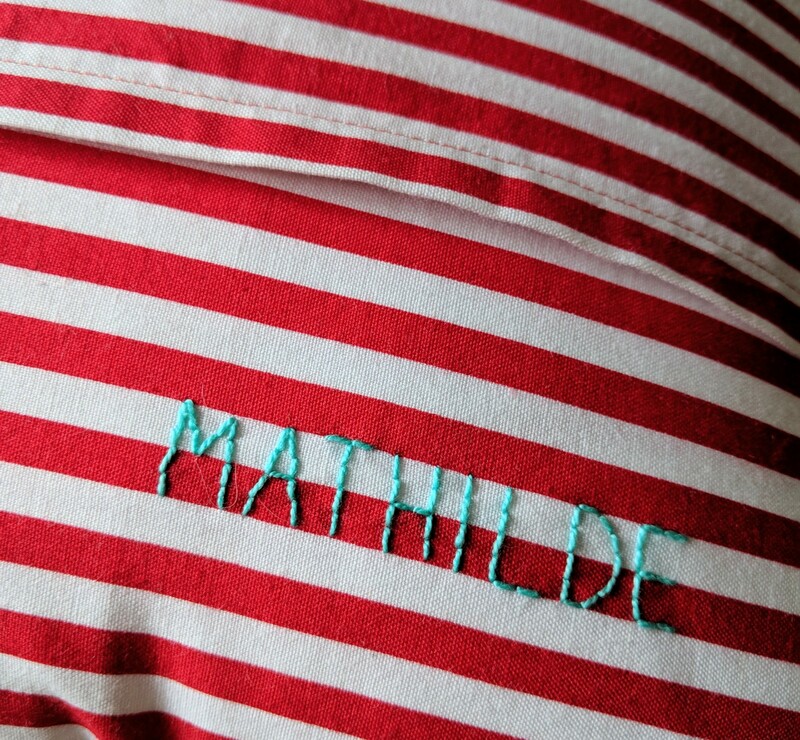 And this cute pair is for my Scrabble playing mum! She wanted a bag for the tiles, which the smaller size is perfect for. I couldn't resist making both sizes though. The fabric is Wordplay by Sarah Fielke. 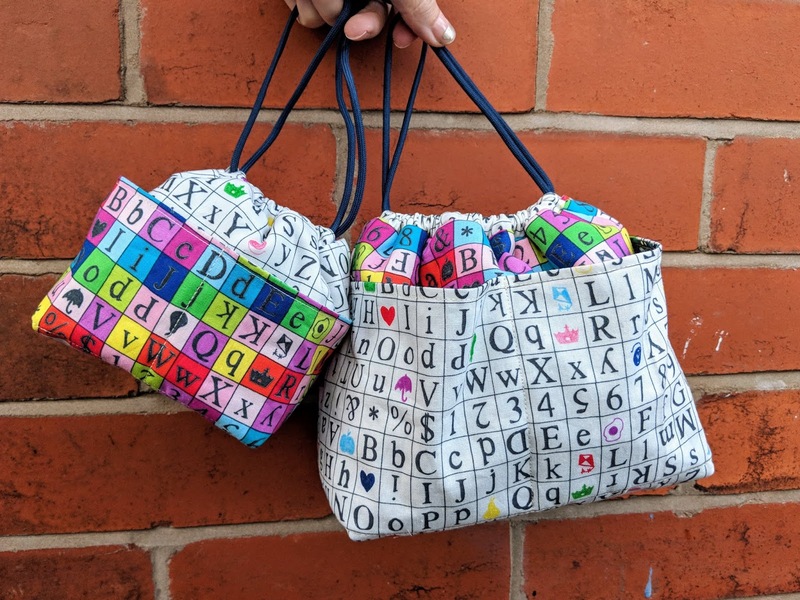 I definitely recommend Laura's weebrawbag pattern, very quick to sew and I think they are perfect for giving gifts in, as well as a great way to organise bits and bobs. 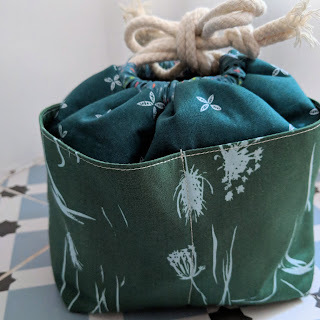 This week I'm finally starting a new hand sewing project. 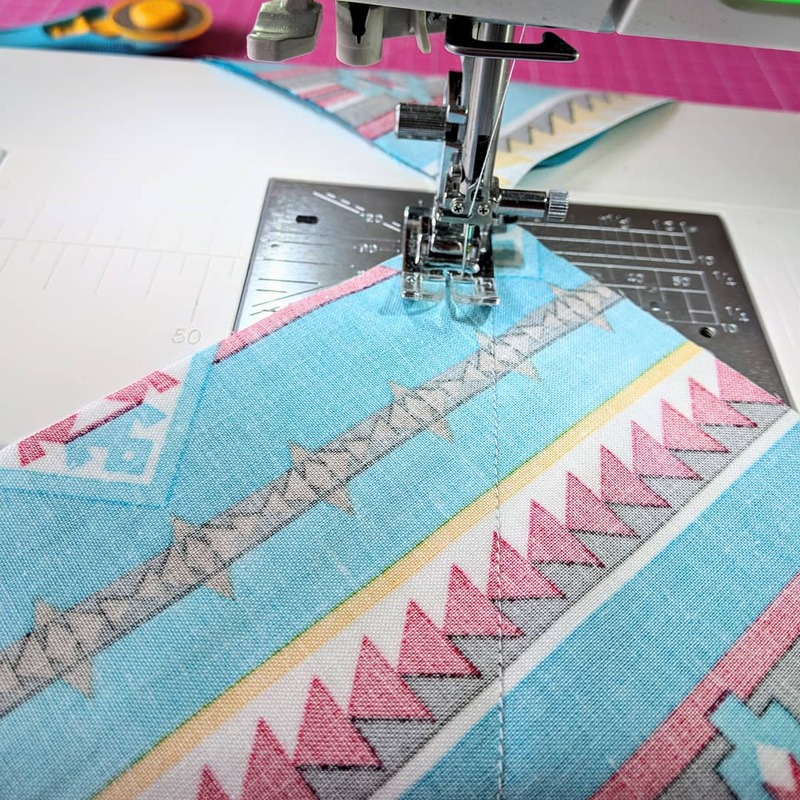 I have my paper shapes for the Kingfisher Stitch-Along from Tales of Cloth and I can start stitching with Jodi, Rachel and friends! Click here for all the details if you'd like to join in. 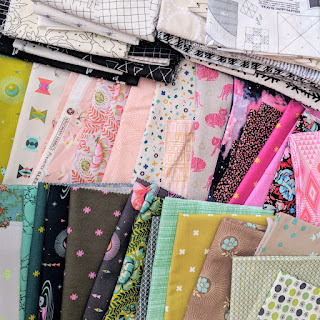 This is my fabric pull, all stash fabrics. 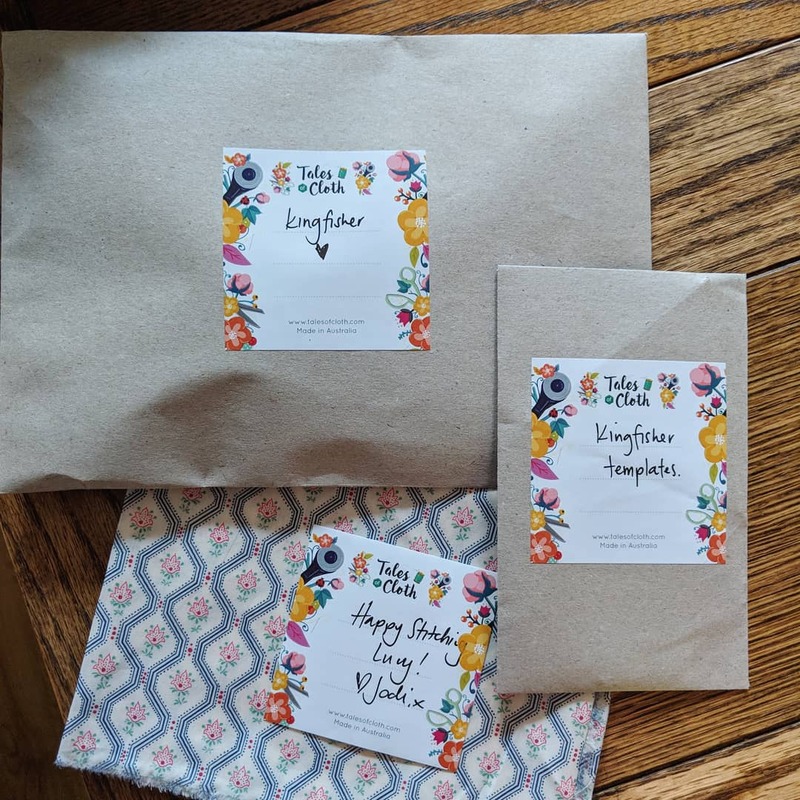 Quite a bit of Tula Pink along with other lovelies. I have a plan and I'm hoping it will work well. Only one way to know... start stitching! This is probably going to be my midnight sewing project, I have a lot on at the moment and my days are filled. I'm hoping to create some breathing space for myself and do things that need doing, like replying to emails! Why oh why do I struggle with replying and keeping on top of emails?! I always mean to reply but I usually get distracted, either by my children or other real life priority and then they pile up!! Maybe it's better not to look at them on my phone and just check them on the computer a couple of times a day? If anyone has any good tips or practical suggestions for dealing with emails I would love to know, please tell me in a comment. The email struggle is daunting, feels like it's been going on forever and I would love to find a system of dealing with it that works for me. Thanks Kay! It can be tough to tell colours online but I'm sure whatever you pick will be lovely, perle threads are so nice to see with! 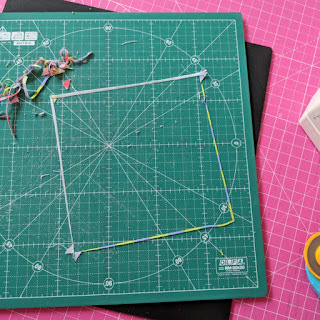 Some place do sets of thread and perhaps you could request a colour card from the shop you order from? Yes I'm on Blogger and it's a known issue, hopefully it will get fixed soon! For emails, I've given up on trying to reply to them all. Not everything requires a reply. You can avoid getting on lists and unsubscribing to things that no longer interest you, but really just taking the pressure off helps me. The other thing I try to do, which doesn't always work is to go ahead and reply right away. Don't read it if you don't have time to reply. Usually, the answer is quick and easy, and sometimes we just make it harder than it has to be. That bag does look like it would be really handy. 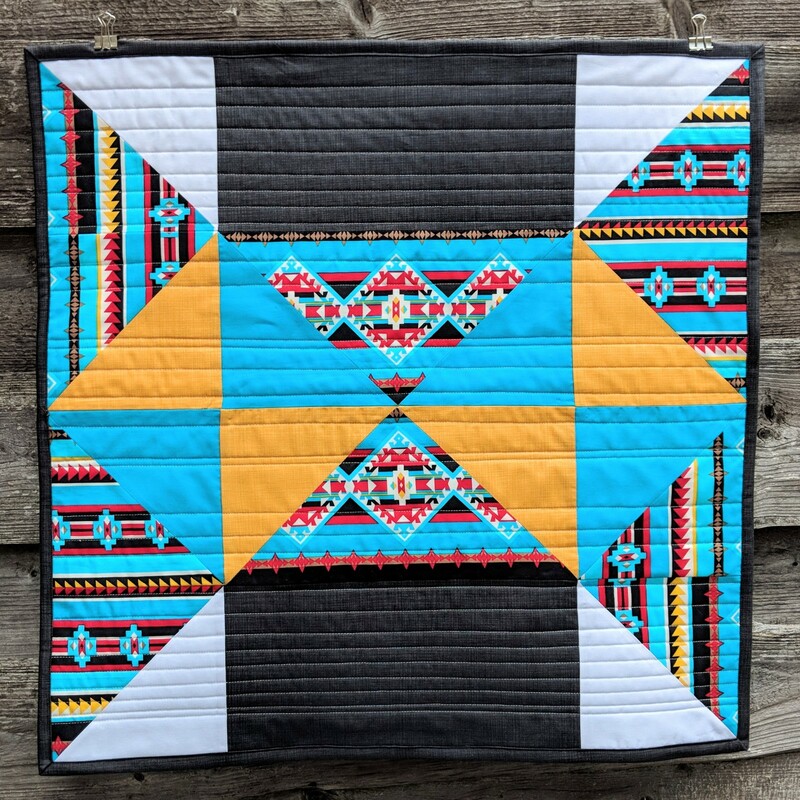 The southwestern mini quilt is really cute too. Those are great tips!! It's true, I often make things harder and a quick reply is better than none. Thanks Shasta!